Admits the 3DS had a similar problem at launch. With the launch of the PS Vita earlier this year, Sony and Nintendo have squared off for the second round of the Handheld Wars. Despite Sony's efforts to unseat his company from its longtime handheld throne, Nintendo guru Shigeru Miyamoto thinks the Vita is a cool bit of technology - it just doesn't have the software to make it a strong product. "It's obviously a very hi-spec machine, and you can do lots of things with it," Miyamoto told Edge. "But I don't really see the combination of software and hardware that really makes a very strong product." A lack of software, however, wasn't just a problem that Sony faced. Miyamoto admitted that the 3DS had had issues with a similar lack of compelling launch titles. "When we launched the 3DS hardware we didn't have Super Mario 3D Land, we didn't have Mario Kart 7, we didn't have Kid Icarus: Uprising," he said, noting that they had been initially planned for launch but development had lagged. "We were kind of hoping that people would, nevertheless, buy into the product, find 3DS hardware promising, but looking back we have to say we realize the key software was missing when we launched the hardware." 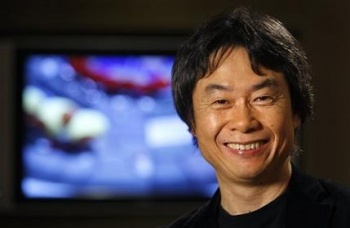 The numbers back up Miyamoto's points that software is king - sort of. After a very strong worldwide launch, Vita sales slumped, particularly in Japan, where Nintendo's 3DS has reigned since last summer. Sony announced that the Vita had sold 1.2 million units worldwide by the end of February; in March, Nintendo announced that the 3DS had sold 17 million units, though to be fair it did have a year's head start. Of course, when we say that the 3DS has sold very well since last summer, this has nothing to do with any of the big-name games that Miyamoto mentioned - which either came out in the holiday season or just fairly recently - and everything to do with Nintendo slashing the price from $249 to $169 in August. If Sony were to similarly cut the price on the Vita (currently $249 for the Wi-Fi model, $299 for the 3G) it might suddenly find itself in a much more competitive position - as analysts suggested back in February. The full Edge interview with Shigeru Miyamoto will be in the next issue of the magazine, if you're interested in reading the whole thing.